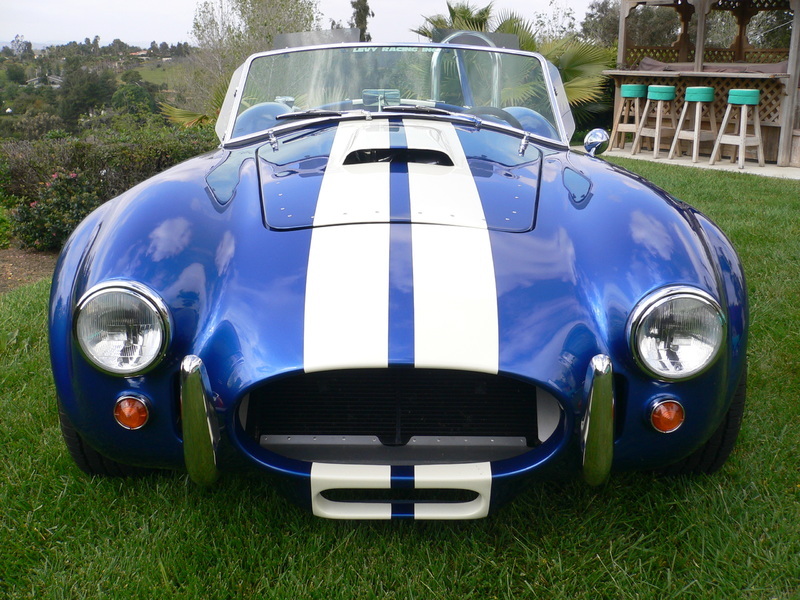 As the oldest, factory-authorized Shelby Cobra dealer in North America, we've seen a lot of original Continuation Series and replica Cobras over the years. 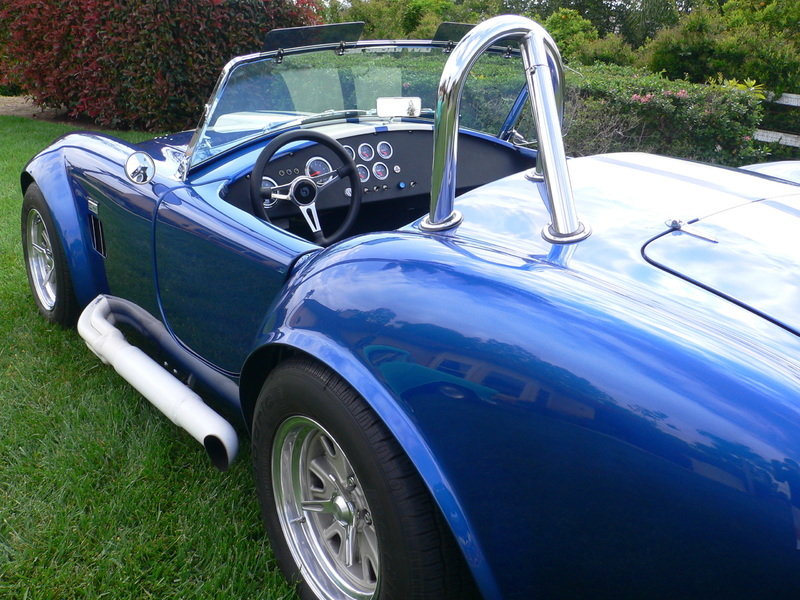 This stunning '65 Cobra replica is one of the nicest we've seen. 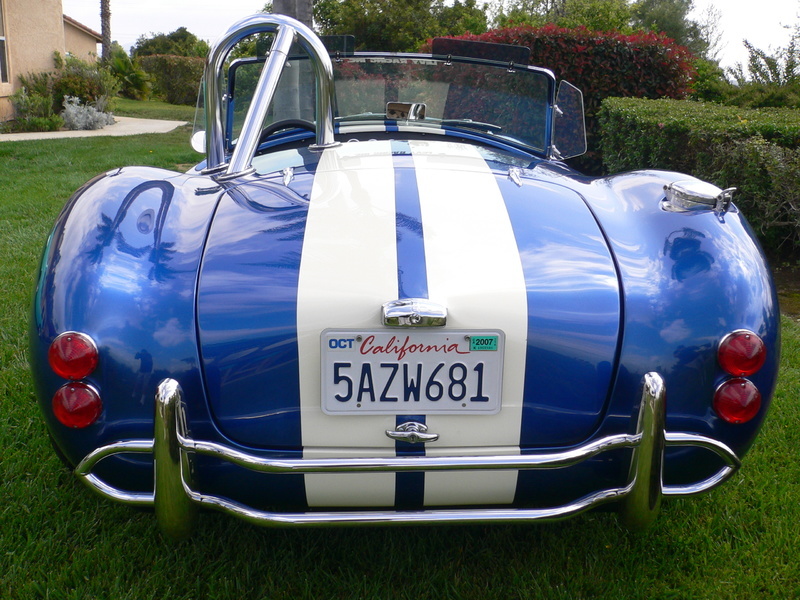 It was sparingly driven (to car shows and on the occasional weekend cruise) so it has only about 1,700 miles on the odometer. 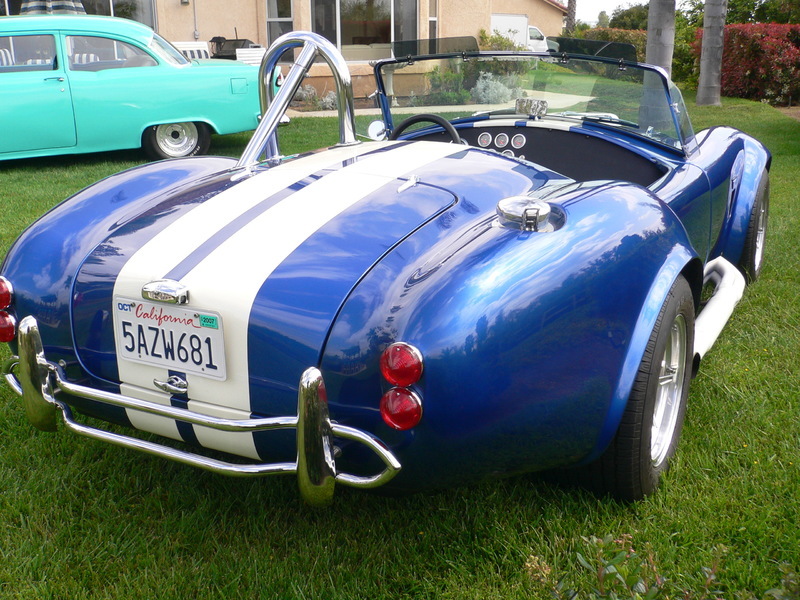 Unlike the majority of home-built kit cars, this one was professionally built by renowned Cobra specialist and constructor Gordon Levy of Levy Racing in Tempe, Arizona. 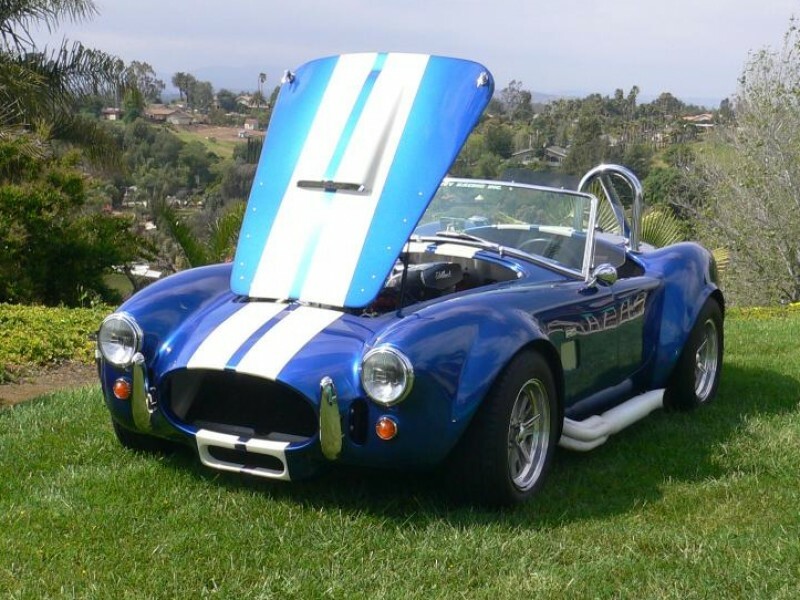 This 1965 Shelby Cobra is a perfect example of Levy Racing's work - a show quality Cobra replica, with street performance impressive to anyone fortunate enough to sit behind the wheel. 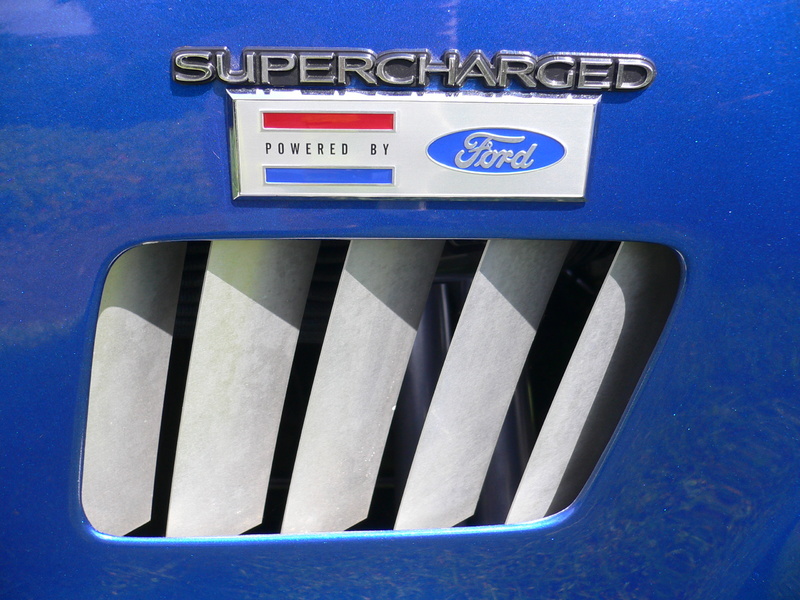 The powertrain is a perfect match for the car, provides exceptional performance and delivers it with a "delicious" exhaust note. 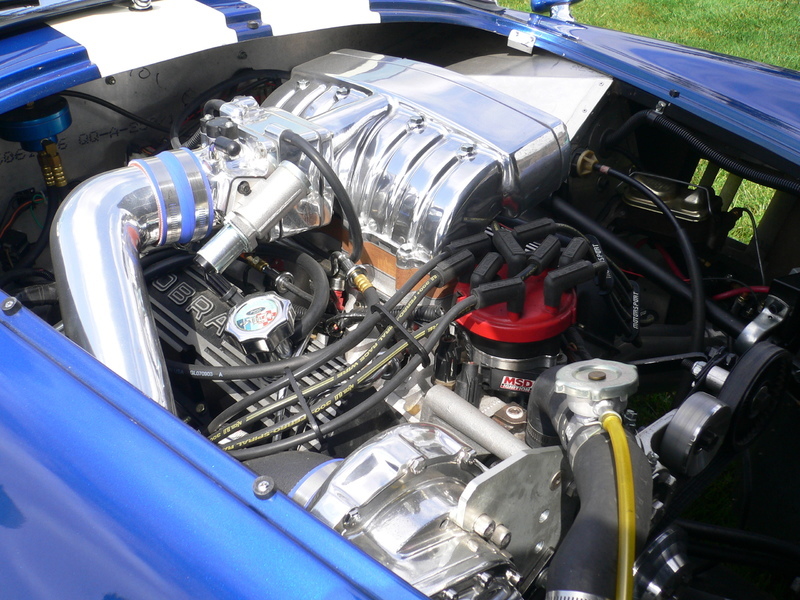 The engine was completely rebuilt using a ‘91 Mustang GT 302 C. I. block with a Powerdyne supercharger, Trick Flow aluminum heads, MSD distributor, Accel race spark plug wires and billet aluminum accessory drive. 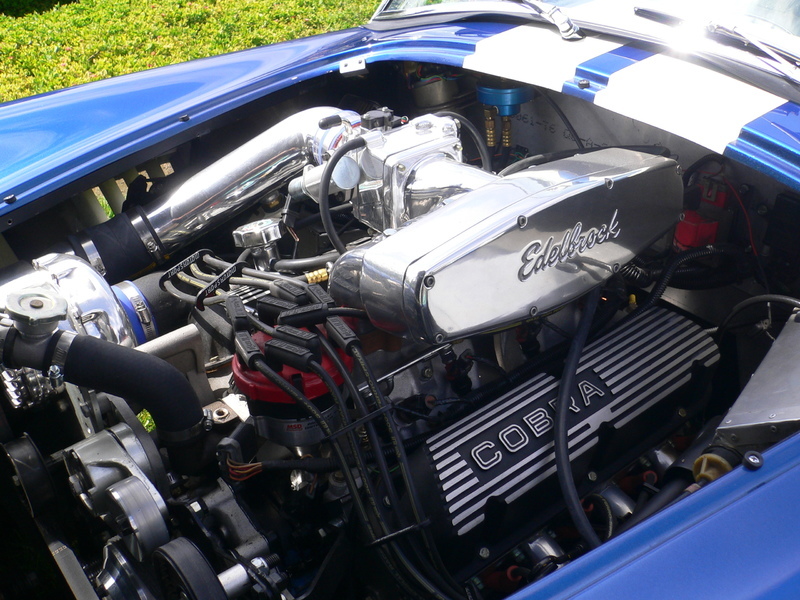 It delivers 475 horsepower, and is mated with a 5 speed Tremec T-5 transmission. 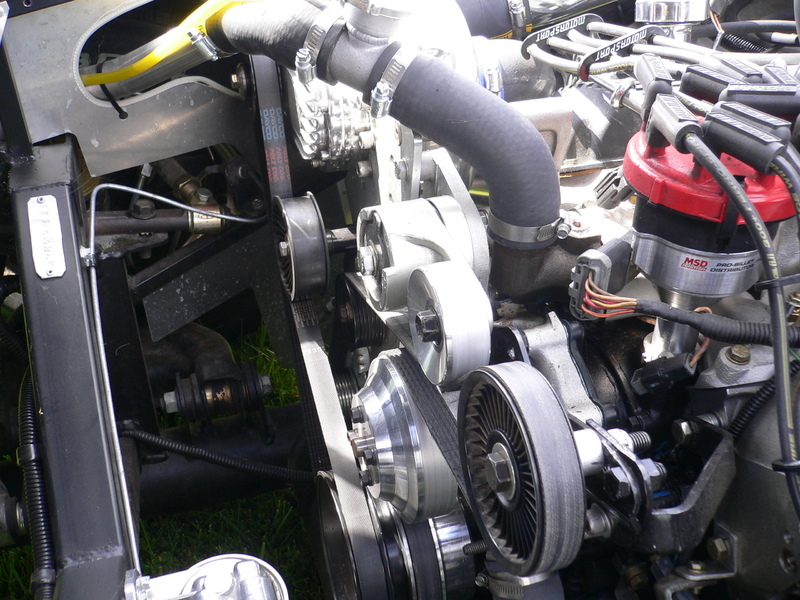 Power to the pavement goes through a 3:55 to 1 posi-trac differential. 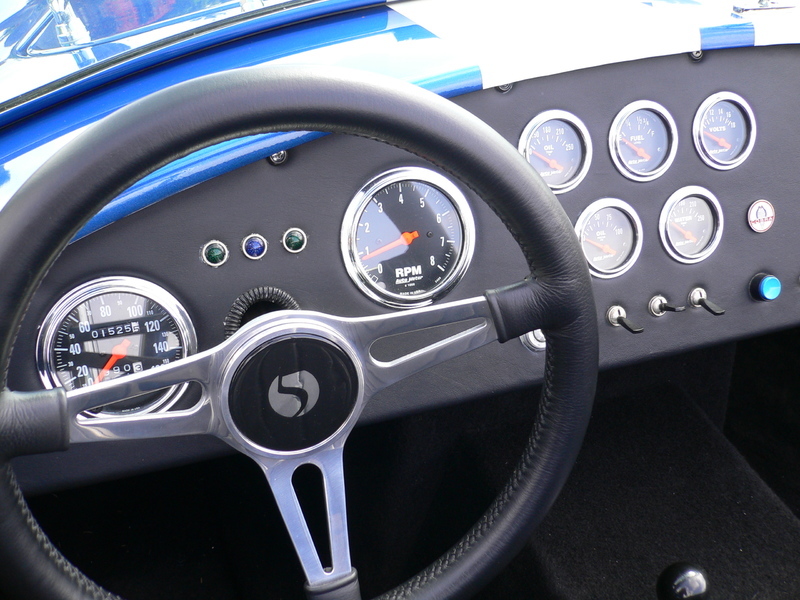 The combination of a 5 speed transmission and 3:55 rear end ratio delivers blazing fast acceleration and a comfortable 2,700 RPM cruise speed on the highway - the best of both worlds! 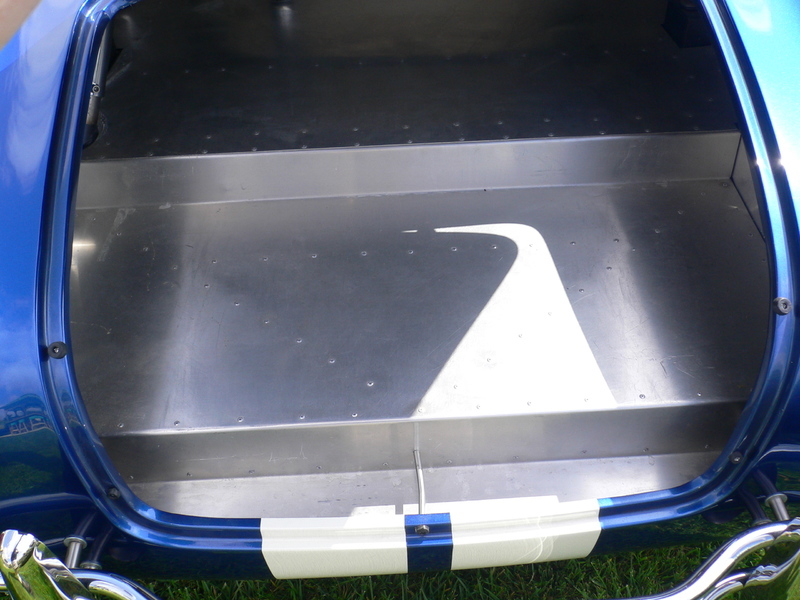 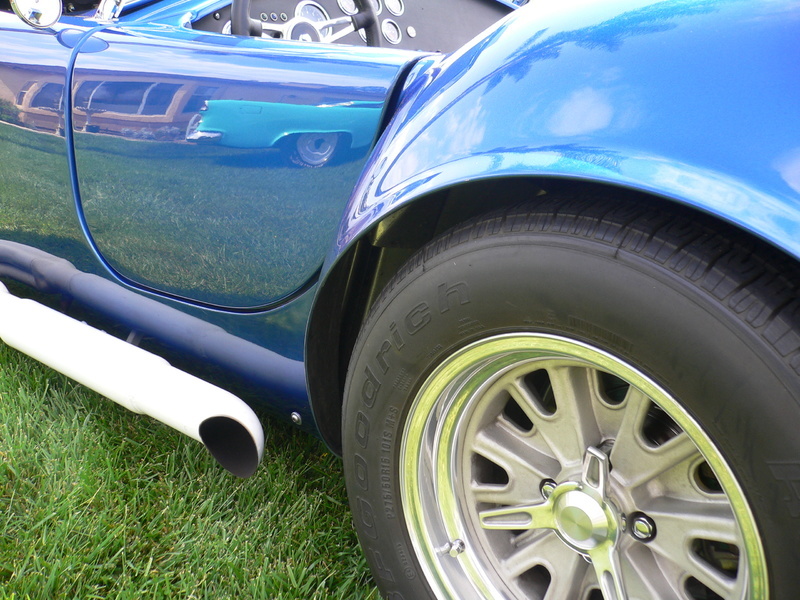 The paint is show quality Viper Blue with white Le Mans stripes. 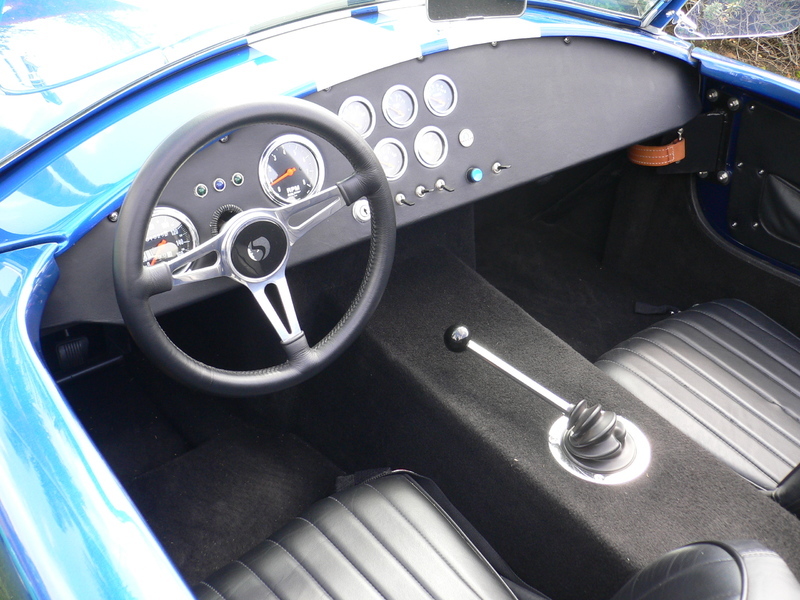 The interior is leather and the dash contains AutoMeter gauges for accurate performance data. 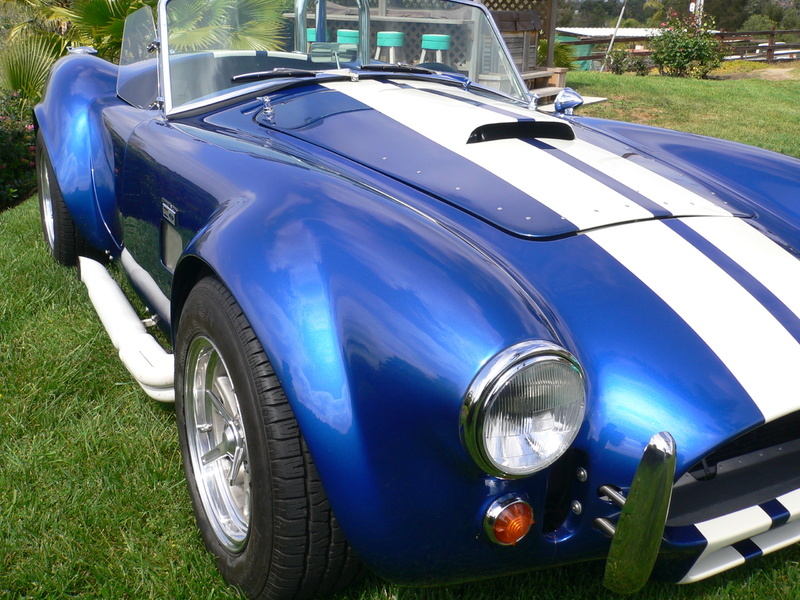 If you're considering a Cobra replica here's a chance to own one that looks and feels like the original, for a fraction of the cost! 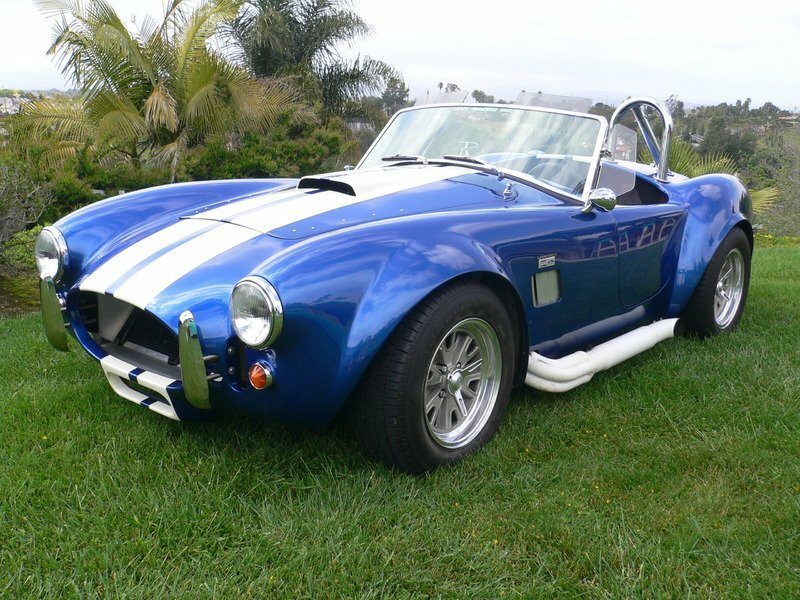 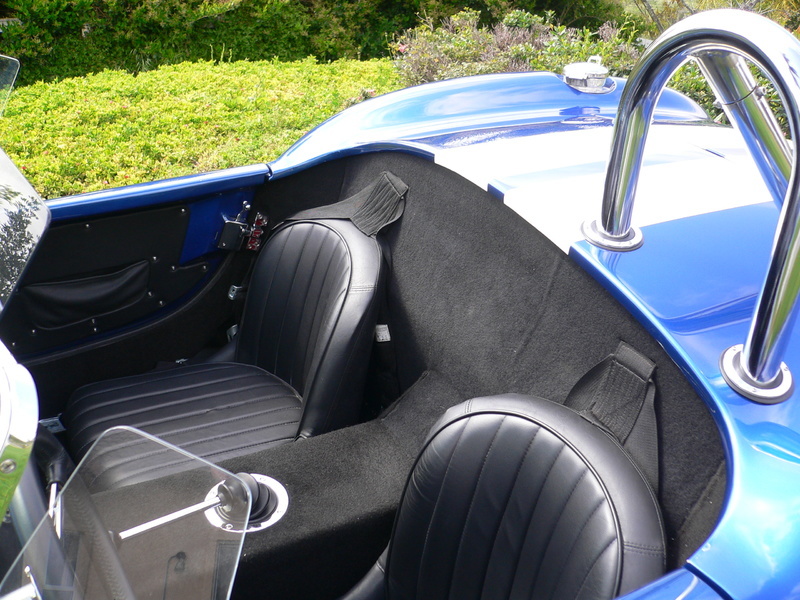 This 1965 Shelby Cobra replica is located in Dallas, TX and available for inspection.